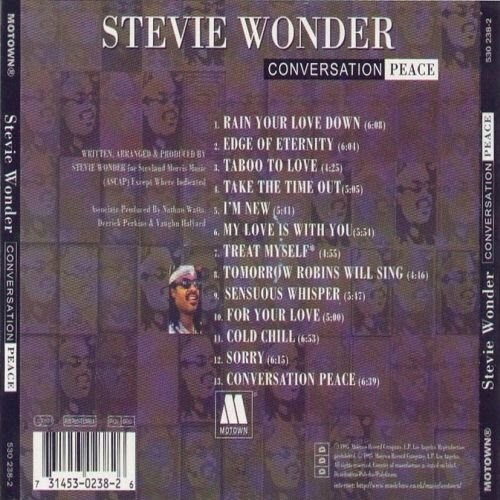 The delay in implementing the new albums by Stevie Wonder is increasingly distressing, 4 years since Jungle Fever. 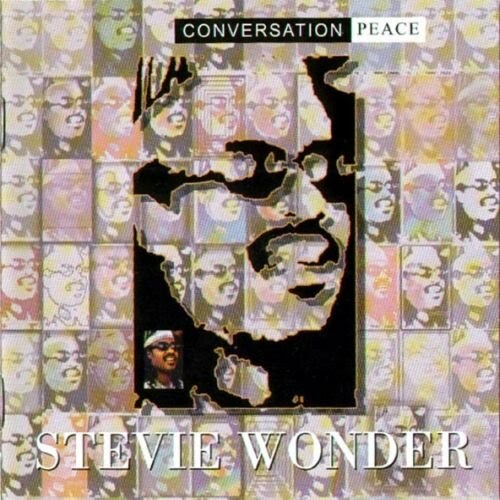 At the first moment this new album was to be called Conversation Piece, but finally was published as Conversation Peace. Is an album that many issues have been composed during his stay in Ghana and very concerned about issues such as street violence and racism. 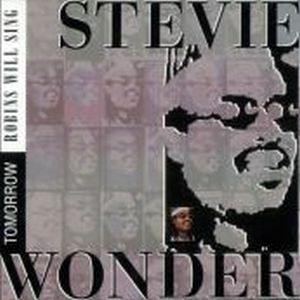 Has important collaborations as Prince in a cover version of "Cold Chill", Anita Baker in a nice jazzy funk song "Sensuous Whisper", or Take 6 and Deniece Williams in "I'm New". 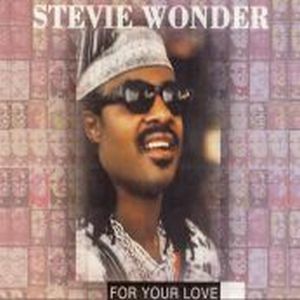 With "For Your Love" won 2 Grammy awards for Best R&B Male Vocal Performance and Best R&B Song. 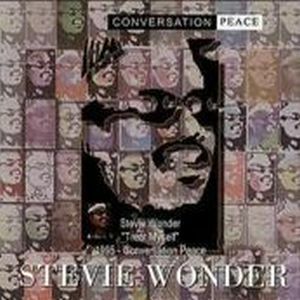 Is a collection of songs with very different styles, perhaps with a bit of production especially in the vocals and Stevie Wonder where, as always, believes in love and peace, using his only weapon, THE MUSIC.